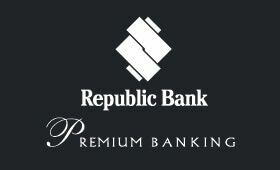 Republic Bank is closing its branch at Independence Square effective Monday 1st April, 2019. Barbados, February 12th, 2018– Republic Bank will close its Independence Square branch effective March 29th, this year, maintaining its Broad Street branch to serve the City of Bridgetown. Republic Bank is pleased to announce the appointment of Mr. James Edghill to its Board of Directors. Republic Bank continued its emphasis on service excellence by recognizing the contributions of outstanding employees during the past year at its annual staff party and awards event held at Mahogany Ridge. Republic Bank is committed to playing its part in rebuilding a strong Barbados economy and restoring the Island’s reputation as an exemplar for financial and social stability in the Caribbean.